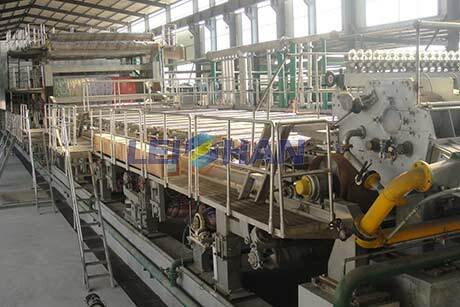 This well-designed paper machine is used for making 90-220 g/m² high-strength corrugated paper. It can achieve designed production capacity, and its internal and external performance requirements is firstly concerned. The fourdrinier high-strength corrugated paper machine consists of fourdrinier wire section, press section, dryer section, reeling machine, foundation part, paper machine auxiliary system and other components.